The beginning and end of business is people. This is the background with which we are looking at people right now in this talk. In the statement, the people referred to are the market with NEWS but there are also others in the process of creating, serving and helping – the personnel. More so, there is a third group of people in business. They are either the proprietor, incorporators or the entrepreneurs that initiated the business. Together these three groups of people form a chain or network of relationships, allowing for the creation of value and monetizing it. So, what exactly are people in the business? What roles do they play in the creation of value and turning the latter into profit? How many people are needed and where are they needed? It is safe to say that people are actually everywhere in the business. Usually, though, we only see particular people in the business and in some ways only with a particular pair of eyes. Let us look at where people are in the value creation system and the business relationships they form in its barest form. In a basic and simple business, there can be at least two sets of people – the businessperson and the customer. A medium scale Filipino chain of clothing retail stores began as a dressmaking hobby of an all female cousins a few decades ago until their friends and other people they know started ordering clothes from them that they designed and sewn. In this scenario, the act of appreciating and ordering are forms of interaction, which were directly between the proprietors/business owners-to-be and their soon-to-be-customers. Interaction is one thing but there is something more important between these people, that is, the “relationship”. There exist some form of a mutually beneficial bond between them and it facilitates the exchange of the product and the payment. More so, the relationship has to be understood in terms of the roles they play for each other. The business owner (the seller) provides something (the product) to the customer (the buyer) and the latter pays for it to the former. Thus, there is this dyadic human relationship at the basic level of a business, which forms the foundation of a sustainable business. Every relationship in business has to be nurtured towards productivity and this one is not only essential, but more importantly it is crucial. For without this relationship with the customer, no business can survive and thrive. Let us look at each of these groups of people in regard to the creation of a business. Again, business begins with people. It is perhaps most logical to begin with the business-owner-to-be because people do not call to the street for anyone to start a business to meet their needs. It is sensible to think that a person sees an opportunity for a business and then ventures to establish it. This is the usual and common experience of single proprietor entrepreneurs. Single proprietorship is the story of thousands of startups in the Philippines and even across the globe. I have a friend, Engr. 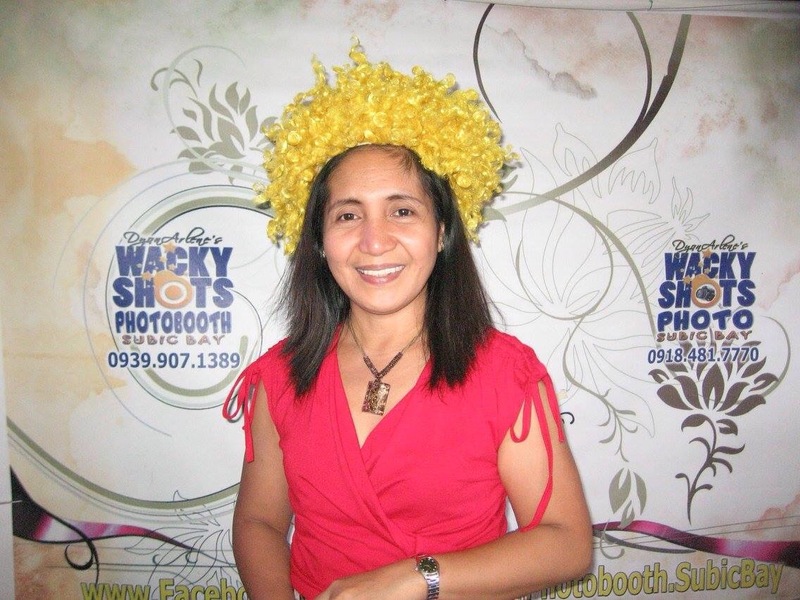 Ann Leuterio Morelos, who owns a flourishing flower shop. she keeps it as a single proprietor business venture. I came to know her through a common friend. She is actually an accomplished Chemical Engineer but she apparently have a passion for flower arrangements. Ate Ann is actually a Chemical Engineer but she opted to start and succeeded in building a career as a florist entrepreneur. This photo was grabbed from her Facebook photos. credit to the owner. 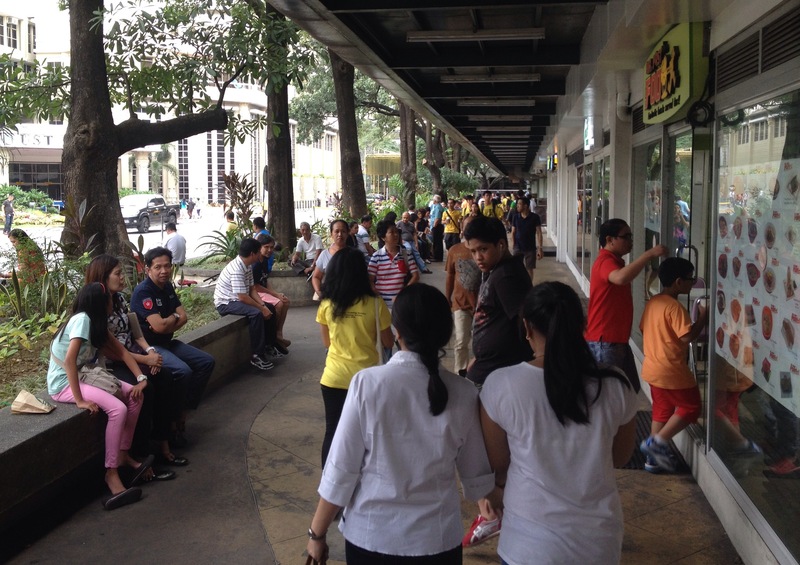 There is also a business startup I know that simply began from learning how to cook a particular Filipino food. I, myself, have my own attempts to begin a number of businesses in the past. Nonetheless, an individual’s initiative might not really be a solo act at all. There are people, the family, perhaps, or even some close friends, behind or on the side of the person, providing support and assistance until the business takes off and fly. I will talk more about family members and friends about business matters in another content. There are also cases when two individuals opt to start a business and this is in the form of a partnership. The story of Hewlett-Packard is an internationally celebrated story of a duo start up. Business partners are probably long time friends who share the same business interest and direction. In my experience, business partnership requires not only money, skills or credentials, but confidence based on established trust. Finally, there are businesses that begin as corporations involving several individuals, funding and managing it. I am not devoting much talk on this for now. This topic can also be covered in a lengthy discussion. My point is simply that business never exists apart from people, particularly the owners. Yet, how should we see or look at business people? Are they just after a profit? It is generally recognized and accepted that a business owner initiates or creates a business in the hope of making a profit out of it. In truth, though, others have a different mind on the purpose of a business or enterprise. It is not always about the money or profit. In fact, business people and entrepreneurs lose a lot of money in the process before they find a business undertaking that works and really makes money. One time, a colleague of mine was requesting to our boss an extension until the next day before we present our reports. Our boss’ reply was something like this, “Give me a very good reason why we should delay this. Remember that in everyday of delay, I am losing money.” That is the reality in every business. A day of operation is never without cost or expense. We were not able to give a good reason to delay it. I, myself, have lost a considerable amount of money setting up businesses that all eventually failed. The latest was a venture we worked for and sustained operations for 5 years, but we shut down just the same. It is like discovering 1000 ways that will not work in business. And it can be very costly. I lost about half a million pesos with close to a million collectible for my compensation. My former Japanese business associate shared with me that they lost around Php15M in the first few years of their operations here in the Philippines. And then shortly before I joined them, they spent a few millions of pesos more until we got a close to Php5M contract with a government agency. Still, that was not enough to regain the losses they already made previously. Business is never a quick money making scheme but it can be a quick money losing experience. If not just for profit, then what else can a businessperson be after? I have explained above that business is never an earn quick money scheme. Now, if a business is not always for making money, then what else could it be for? At the very least, a business person has his or her family in mind that he or she wants not only to provide for but also to secure a good life and future. I know another entrepreneur, Ms Marian Hipolito, a pastry chef and mother of three, who does business to provide for her children. These are cupcakes of Chef Marian Hipolito. Photo by her, grabbed from her Facebook page, retrieved on 30 January 2016. 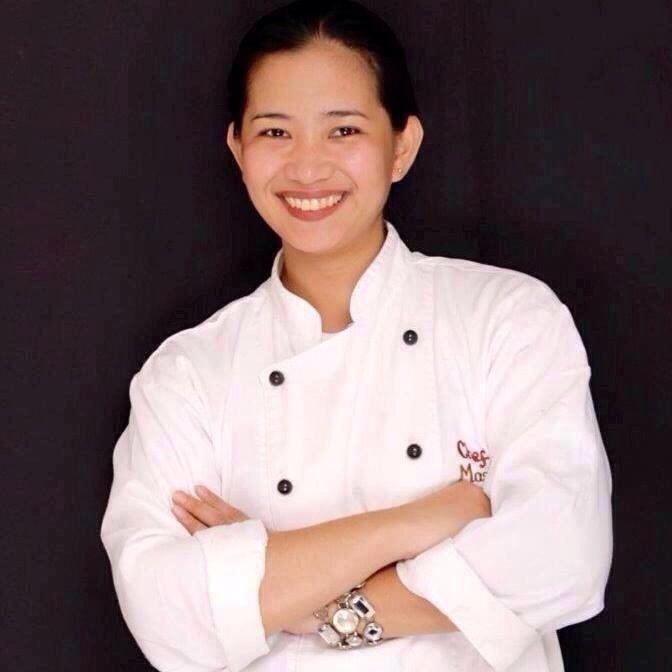 This photo of Chef Marian was grabbed from her Facebook profile. Credit to the owner of the photo. Some business people started as somebody without other options, for lack of formal education or employment opportunity, but to sell until the venture grew into an enterprise. My parents had little education, with my not even completing grade school and my father completing only high school. It was difficult to get employed or to earn enough for the family. My parents used to be in the business pf manufacturing figurines. It could also be simply to survive, if not to succeed. I remember Jose Mari Chan’s (JMC) revelation in an interview eons ago about his father, who was a Chinese national who came to the Philippines. He could not speak Tagalog or English well. Nobody wanted to employ him. To survive, he bought goods and sold them even with a meager margin just to earn something so he could keep eating. Having endured poverty, one day, the man promised to himself, says JMC, “I will never be poor again”. These reasons can considered noble enough as business purposes. Of course, we want to hear purposes like for nation building or to save as many people as possible from poverty and so forth. This is rarely true. To others, business is simply a manifestation of their passion. Profit simply became the reward for their hard work. I believe this is the case for “Bayo”, the Filipino clothing company that started as a hobby of lady cousins. In the international scene, there are many businesses that began as a mere passion of the owners that eventually found their markets and flourished. Travel blogging is apparently like this. Today, some people even see business as a mission. Yes, something like a religious mission to fulfill. In a school in Zamboanga City where I taught as a visiting lecturer, there was a course entitled exactly like that – “Business as a Mission”. To BRD, the Consultant who READS Management I talk with, business, he said, is “a vocation, a way of life. It is a discipline/profession, an enterprise requiring knowledge, understanding and application.” This way of looking at business merits an extensive discussion, but my purpose here and now is to present business owners as people with noble intention in contrast with the demonized greedy businessmen who scheme to rake tons of money from unsuspecting people. A business owner, thus, is the first person who creates value for the market, and as the Consultant who READS management puts it, “to serve and help, to meet and satisfy a given need, expectations, wants and specifications”. From my reflection, I have written a poem (cawy) for entrepreneurs. Let me wrap up the first part of this talk with a Consultant who READS management. Business begins with people and is in fact filled with people. The first set of people are the business owners who may be are single proprietors, partners or incorporators. While it is generally regarded that these people initiate business for profit, in reality they risk losing lots of money for reasons other than just raking plenty of cash, which includes merely surviving, or providing for their family. Other reasons include mere living out one’s passion in life or to fulfill a sense of mission. Business people can be as noble as they can be in society. Know more about business. Visit READS.